We are continuing to serve our community with excellent design and strategic partnerships operating now as Modern Architecture Services. Francisco Garcia is the rare builder who possesses hands-on construction experience yet also has obtained his architect's license in sustainable modern design. His unique combined expertise allows him to express innovation without compromising the budget, timeline, construction, or the vision of the project. Among his clients, Francisco is most appreciated for possessing a communication style that is open, honest, thoughtful, and thorough. 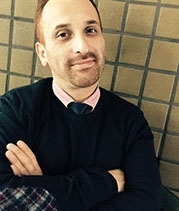 Growing up in Southern California, Garcia graduated from Cornell University's Architecture program in 1998 and studied architecture abroad in Rome. 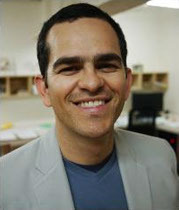 He later returned to San Diego to spend 7 years as an Associate and Project Designer for the architecture firm PUBLIC. In 2005 he started his own design-build company called The Building Workshop which seeks to bridge the gap between the pragmatic construction-worker and the artsy intellectual architect. Today, Garcia's work is notable for its uncomplicated modern style and grounded sustainable techniques. Rafael has been around construction sites since he could walk. As a young boy, playing with Legos, Rafael was naturally drawn to building things with his hands. Around the age of 8, Rafael began tagging along with his father to work, a general contractor in San Diego. While his friends were at baseball practice or summer camp, Rafael was going to work and learning how to build and repair homes. Being exposed to construction at an early age allowed Rafael to learn the intricacies of residential construction building methods and quickly began to excel in several areas of construction by the time he finished high school. After several years of working on custom homes, remodel, and being on the construction side of the blueprints, he enrolled in architecture school to gain a greater perspective of building and architecture. "It was very rewarding to step back and look at a project once it was complete and to realize you built it with your hands, but I wanted a greater understanding of the design process and combining architecture seemed like a natural fit." In 2014, Rafael joined The Building Workshop bringing with him years of field experience and knowledge to the team. "I get to work with a great team, on great projects, doing what I love to do, designing + building." Rafael is also a licensed general contractor in California. In his off time, Rafael enjoys being outdoors, hiking, running and any other outdoor activity. Rachel LaBarre is the Director of Marketing and Client Development for The Building Workshop. She is a native San Diego creative who studied Fine Art and Anthropology at CU Boulder until her graduation in 2008. At the intersection of these two studies is the designed world we interact with everyday. Rachel continues to engage with well designed spaces through her own line of block-printed textile goods, custom special event & art installations, and as an enthusiastic addition to The Building Workshop's team.